Ego Aio is an easy to use electronic cigarette. With a leak-proof system, a 2ml tank and a 1500mAh battery, it impresses with its performance and provides an intense and generous vape thanks to its resistance of 0.6ohm. An e cigarette beginner kit but also very practical and versatile for confirmed vapers. 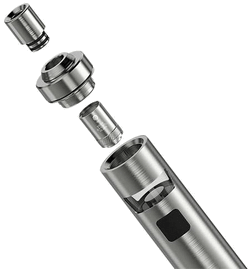 If you're looking for a simple starter kit or even if you're a confirmed vaper looking for a lightweight setup, the Ego Aio is a surprising electronic cigarette. Its design is in simplicity, combining tank and integrated battery in an elegant and practical compact form. Featuring anti-leak technology from the Cubis and a locking system for maximum safety, it is filled from the top in record time. Its built-in 1500mAh battery allows a day of vape with intensive use. Its charge is ensured by the micro USB cable included in the kit. Proposed here in its new version in different colors. Why did we opt for this electronic cigarette? 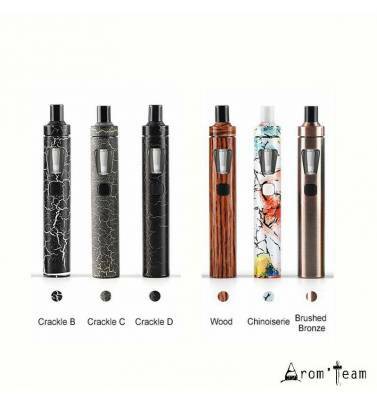 We decided to bring this model of ecigarette in our shop because after having tested it, we were amazed by its capacities likely to appeal to the beginners in search of a simple but powerful electronic device. 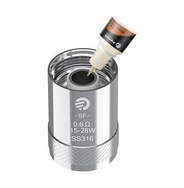 All you have to do is get an Ego Aio and a liquid, refill your tank, let the wick soak for a few minutes and press your button to test the vape convincingly. We, as confirmed vapers, have also adopted it for its discretion which does not hinder its performance. * Arom-Team advice: before the first use, start by directly impregnating the resistance (a few drops of eliquide in the hollow part) then screw it and fill the tank. Do the same when changing the resistances. Here are the testimonials of those who chose this product on our site. 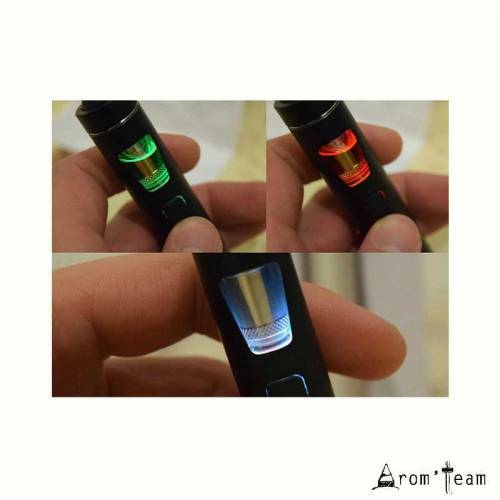 They share their experience in the creation of DIY e liquids and show their satisfaction after placing an order with Arom-Team.